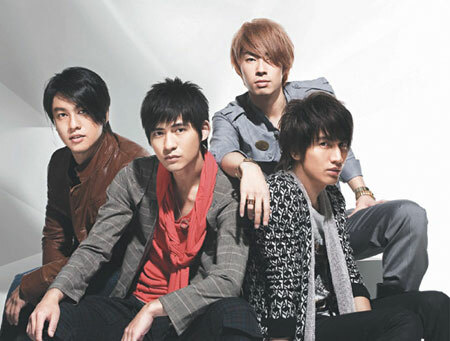 It wasn’t really a surprise to read today about Vic Chou’s depression. This has been written extensively with the press noting of his tendency to lock himself up at home for months playing video games. But this was one of those rare times he talked about it, and even acknowledged it. But ZaiZai is not the only one in F4 with a behavioral disorder it seems. Three years ago, Ken Zhu opened up that he contemplated suicide at the peak of their success. Over the years, Ken has also gone through weight issues, losing the boy band look that could have sustained his career and may have cost him roles. Yes, the entertainment business is that cruel. Jerry Yan was no different. When I interviewed him last year, he talked about wanting to quit at a certain point, although he denied it was because of the pressure and stress that came with fame, but more because he was going through a lot of things in his personal life. When I asked him to elaborate, he said he is very similar to the character that shot him to fame: Dao Ming Si. He is very naive and child-like and there were a lot of things in the business that were difficult for him to accept and handle. But since then, he said, he has come to love his work and like ZaiZai, maybe he is finding the balance. Van Ness Wu may appear to be the only one among the four who did not have any psychological issues. It may be his Western upbringing or it could be that he had a different way of coping. As he himself admitted, he had lived a life “full of sin” and that could be a sign of depression too. I couldn’t blame these guys though. When they started out in Meteor Garden, no one thought they’d make it big, not even their discoverer Angie Cai. No one thought the drama would be a big hit and trailblaze across Asia. Unlike most stars and pop groups today, they did not go through years and years of rigorous training before they debuted. They were just suddenly thrust into the limelight, thrown into the sea and forced to swim if they wanted to survive. To aspiring stars, that must have been a dream come true, but it must have been hell and heaven at the same time for the four of them. 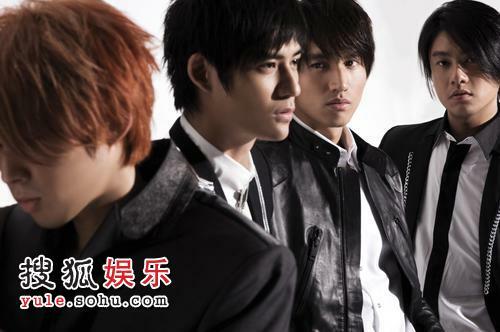 F4 is one of the most interesting stories in Asia’s pop culture. They opened a lot of doors and to a lot of fans, they were the first idols. The pressure must have been so immense but no one from below would have noticed it as we all watched them on a high stage. Interestingly, a recent article came out citing 12 lesser-known causes of depression including lack of sleep, lack of fish in the diet and medications. Obviously, these guys lack sleep due to their strange work schedules, they may have been eating a lot of meat (I doubt if Barbie Hsu’s vegetarianism rubbed off on ZaiZai) and who knows what kind of medications they have. Xanax anyone? HAHAHAHA!!! at least your depression is idol-level!